You know how good it feels to get into a clean, well running vehicle. Our dedicated staff will help to keep your looking clean and maintained. Not only does it make a positive impression, it's another way to preserve the value of your vehicle. 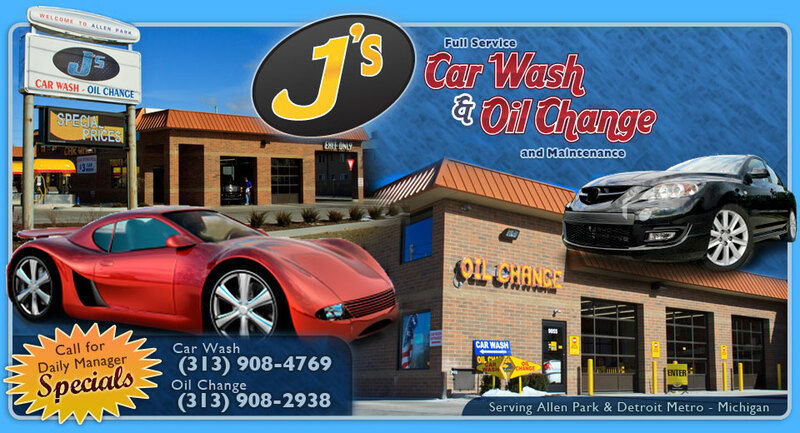 Quick, efficient and economical, J's Car Wash & Oil Change is available for all your car cleaning and oil change needs from Fleet Services to personal car care.